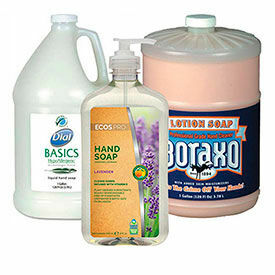 Hand Cleaners Are Used For Sanitizing Hands On Job Sites, In The Office Or Locations Where Water Is Not Available. 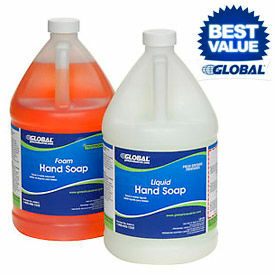 Hand Cleaners are made from a variety of cleaning chemicals for cleaning, stain removal and floor stripping efficiency and long lasting use and durability. 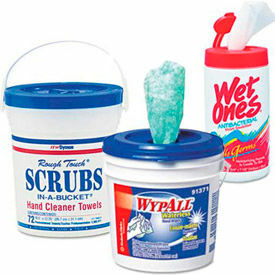 Wide selection of brands, types and formulas available to remove dirt, grease, oil and other stains from hands. Provide quick, easy clean up. 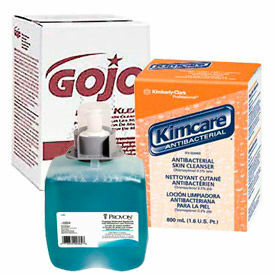 Sanitizing hand wipes contain alcohol to help reduce spread of bacteria. Pre-moistened scrubbing towels also used to clean tools and equipment. Available in a variety of types and popular brands to meet job requirements. Package quantities vary per type.